Tony Reid – You competed in some of the earliest UFC events in UFC 16, 18, 20, 25, 27, etc. What were your thoughts and feelings at the time about entering the competition and what are your thoughts looking back now? Laverne Clark – What I know now is that you have to focus 100% on the game and give it your all mind, body and soul if you want to be champion. Tony Reid – Most MMA fans will remember you as you were 10 plus years ago. What do you do for a living now? Are you still involved in MMA in any capacity? Laverne Clark – I still do mixed martial arts. I coach, I love MMA. I’m still fighting. I am very much still in the game, even more than I was back in the day. I was giving it about 80% back then, now I am dedicating myself to it. I’m 40 years old now. Age is nothing but a number, its what you are doing with yourself that matters most. Tony Reid – I am currently rewatching every UFC event from UFC 1 on. Being a part of that history, what would you want me or any fan to take away from the early days of the sport? Laverne Clark – All of those guys are champions. Most of them are still in it (the sport). They are still involved in some aspect, whether it’s competing or coaching, they love it. I love the sport, so that’s why I’m still in it. 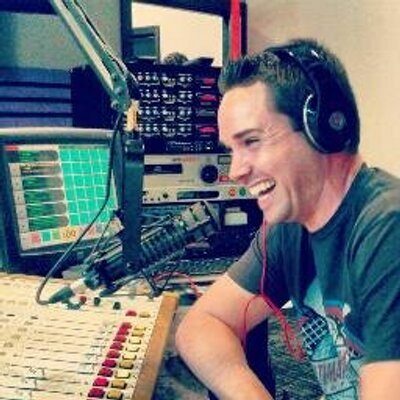 Tony Reid – Like I said earlier, I am watching all the old events and in doing so, I noticed in a few interviews former UFC matchmaker John Peretti was really high on you, basically saying you were the next big thing. Did you get that sense, or did he verbalize it to you directly? Laverne Clark – We were pretty good friends. We had a number of good conversations. He looked up to me a little bit. I was just trying to do what I do. 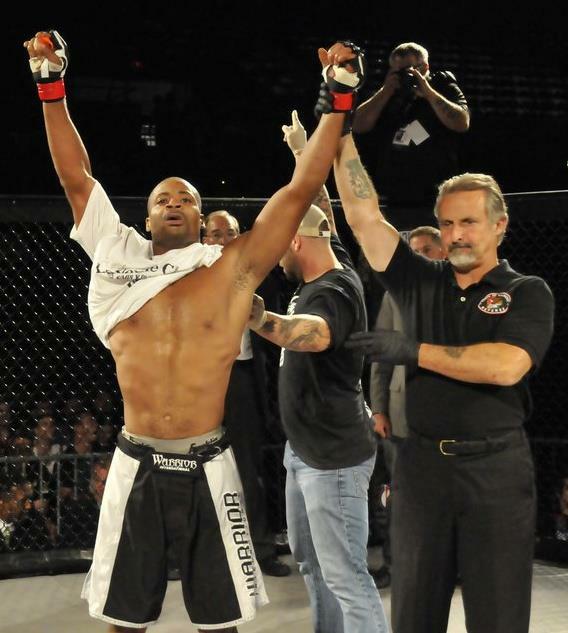 Tony Reid – You were training at Miletich Fighting Systems during the height of their existence. There are plenty of stories out there about how hard you guys went during practice. Can you share a training room war story with us? Laverne Clark – Miletich used to grind me really, really hard. I would think practice was over with and then he would put a fresh guy in there to train with me. Every 15 minutes he would put a fresh person in there. It was hard for me but hard work pays off. I won most of my fights training with him. I am applying what Miletich did to me then to the guys at my gym now. I am passing it on to the new generation. It will pay off. I am training with a hard group of dedicated young guys at Destruction MMA. They push me as hard as I got pushed back in the Miletich days. I started my career strong and now I want to finish strong. Tony Reid – What are your thoughts on the growth and expansion of MMA? 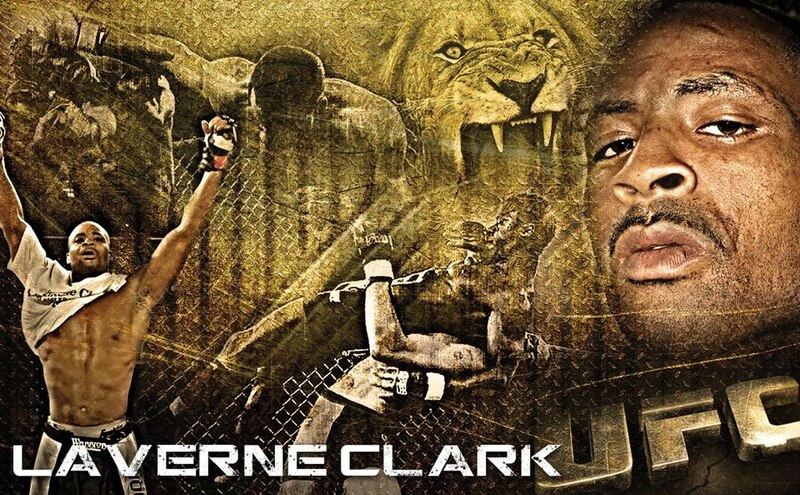 Laverne Clark – When I first entered the cage I felt the vibe and it was amazing. I thought it would be a spectator sport. I thought it would be everything it is and more. Tony Reid – Do you have favorite fighters you enjoy watching today? Laverne Clark – I like it all. If you focus on one person you will miss out on others. Just like if you get stuck in one style you will miss out. I watch everything. Nobody in particular stands out. I enjoy it all. Laverne Clark – Yeah, I am great friends with all of the guys from Team Miletich. Matt Hughes and I are still great friends. Every time we get a chance to see each other we make sure we do. We recognize, once you bleed and sweat with people like that you respect and recognize it. Tony Reid – What was your fondest memory of your time spent in the UFC? Conversely, what was your least favorite memory of your time spent there? Laverne Clark – My favorite memory was when I first got to the UFC. It was my pro debut. My least favorite memory was when I lost to Fabiano Iha. I beat him the first fight in like 32 seconds. In the second fight he beat me in like 32 seconds with an armbar. That is something that I always wondered, why the UFC didn’t have a third match between us. There were times when I wasn’t ready for it, so there was no sense in arguing for a fight you weren’t ready for. I would like to fight any fighter that beat me in the past. Tony Reid – Is there a behind the scenes story you could share with us that fans might not have heard yet? Laverne Clark – Miletich stayed on me a lot; he stayed on me real hard. I remember flying back from Japan with him and we were sitting next to each other and looking at him I was thinking this was the greatest guy in the world, the best fighter in the world, and it was a dream come true to be associated with him. Here I am thinking that I’m looking up to the champ. And he told me that he looked up to me. He told me that I had the best talent he had seen and that I just needed to apply it. That motivated me to stay in the game. That motivates me to this day. He reminded me of that conversation a lot. When you have someone like that tell you something like that you start to act on it and believe. You can accomplish anything after hearing something like that. Tony Reid – If you could go back and fight someone from the early days of the sport who would you want to get a shot at? Laverne Clark – It’s a short list. There are a couple guys on it. I would like to challenge Frank Trigg again. He beat me and he got an unfair win against me. I think I was the better man but he broke the rules to win the fight. He hit me in the back of the head a bunch of times, not that it hurt me but he broke the rules repeatedly. Another one would be my good buddy Matt Hughes. He promised me a rematch, I don’t know how realistic that is but he did promise me that! Laverne Clark – (Laughs) If it has to be that way then it has to be that way. There isn’t anything wrong with that.